Here at TeraTech, No Nonsense November is a time for us to get real with issues that plague the successful use of CFML. One of the biggest issues can be with your management systems. Are you using a homegrown code framework that just isn’t cutting it? 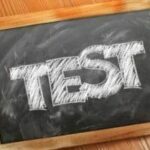 Are you being torn apart in testing? Perhaps, it’s just your deployment and change tracking processes that are slowing you down. Well, I got news for you. You can change this for the better. These are not “unfixable”. Let’s take a look at 5 different areas that you can improve to bring more efficiency and consistency to your programming life. 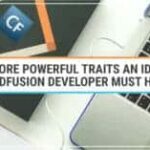 According to the State of the ColdFusion Union 2018, most CFers prefer a homegrown code framework. But, the most commonly used third-party code framework application is ColdBox (followed by FW/1 and Fusebox respectively). There are a few advantages of using a third party framework over a homegrown system. For example, you can save time and resources by using a third-party app. Also, third-party apps are already tried and tested and are regularly updated with new features and bug fixes. Plus if you have problems, there are many other CFers you can ask about how to do a particular thing in that framework. Let’s take a look at the most popular CF framework, ColdBox, and see what it can do for you. Code Frameworks help keep CF alive by saving CFers precious resources and making coding easier. So, what is ColdBox? ColdBox is a convention-based HMVC (Hierarchical Model View Controller) framework used specifically for CFML. It provides a team standard when working developmental projects. Also, it has a modular architecture. This allows for construction of hierarchical MVC apps instead of large applications. It is also incredibly easy to install especially if running CommandBox. All it takes is a simple one line command. A CMS (Content Management System) is a software application that helps to manage your digital content. This being said, having a good CMS is very important and makes CF more alive. Here’s how content management can help any CF project. You no longer need to rely on third-party applications or hosts to update your web app. Simply update as you see fit. No need to understand in-depth language programming to build a project. 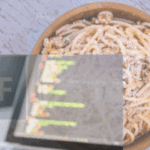 This is great for CF beginners learning to build their own web apps. A CMS will allow you to cherry-pick exactly what needs to be changed without doing a project overhaul. Constant updates to the CMS will make sure you have the most modern availabilities for your application. A good CMS will have tools for SEO, email marketing, social media marketing, and blogging. Some will even allow you to collect fees and donations, create event registration forms, and store member info. Be sure to properly test your app to catch the bugs before they get to production. According to the 2018 State of the CF Union, 44% of CFers polled do not automate or use CI deployment tools. If you are not automating your builds, you are missing out on saving time and improving your deployment and testing process. Because at the click of a button you can update your staging or production code directly from your source code repository. Never again will you forget to update all the files on your server. Plus if you spin up a new server it can be automatically set up exactly the same way as your other servers. For those who do CI, Jenkins is the most popular program. A great way to make CF more alive and efficient for your project is to use a change tracking management system. Why do so though? If you just fix bugs as they are reported without tracking, it is easy to forget to fix some of them. Or prioritize the ones you do fix. You also can have a hard time figuring out who on your team fixed which bug a few weeks later when it causes an unexpected problem. Small changes can soon add up to a large amount of extra effort and time. Remember to pay attention to these five areas, and your development experience should run much smoother. For those of you still not using ColdBox and ContentBox (or any of Ortus’s Box apps), you are seriously missing out on the “proper” CFML experience. Also, don’t let a sloppy change management system hold you down. Come on, you’re better than that. If you are looking for a way to revamp your ColdFusion or Lucee… here’s a great place to start.